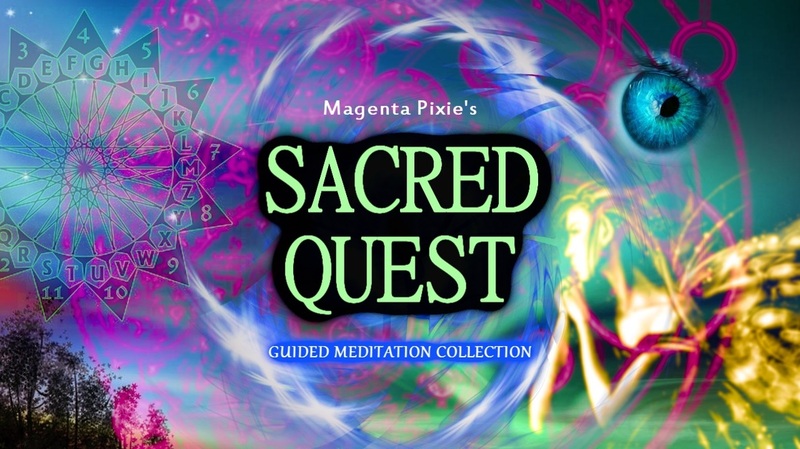 Magenta Pixie presents her SACRED QUEST collection of guided meditations. You are invited to embark upon an adventure, indeed a Sacred Quest. Become a character in a story as you follow these guided meditations into the deepest recesses of your inner visionary potential. The higher dimensional collective, The White Winged Collective Consciousness of Nine, bring forward these transmissions through their conduit, Magenta Pixie. Each guided meditation is a trigger into your own DNA activation, expansion and healing. Each meditation is, in itself, a spiritual journey. Together, all seven meditations create the Sacred Quest. "Beyond the Mirror (The Silver Ray)"